I’m finally on the last Travis McGee book. It’s been a great journey. This being the last of 21 books, I went ahead and read the introduction by Carl Hiaasen that precedes all but one of the McGee paperbacks I have on the shelf. 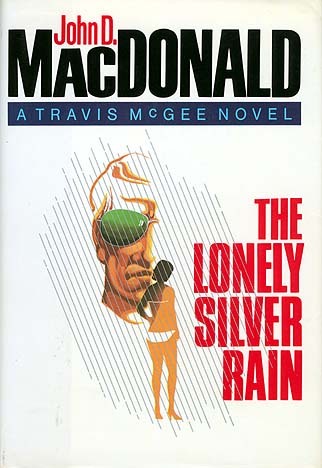 It’s what you’d expect, a genre writer promoting another genre writer as something greater than a genre writer, in MacDonald’s case, as a writer who captured his setting as well as anybody ever has. I don’t disagree. I like MacDonald’s writing and I’ve enjoyed the McGee novels much more than many of the lugubrious and “serious” books I’ve put myself through, for instance anything by Phillip Roth. The division between genre fiction and “literature” has always been arbitrary, roughly akin to the line between “books you will enjoy despite sometimes lazy writing” and “books you will not enjoy as much but will be proud of yourself for reading.” But it does make everything easier to find, and there’s joy in deciding against everything everybody says is good for you. It’s felt good over these past three months to hunt around in the Mystery section for errant McGees, bypassing the Penguin Classics in the “required” section. Take that, Penguin Classics. Hiaasen’s introduction touches on McGee’s self-description as “wary of all earnestness,” and I guess I share that viewpoint. Literature, the attitude of literature, “This is LITERATURE,” is earnestness defined. I recently got some windfall money and hastily converted it into records I “should” own but don’t. This was one of them. Being “wary of all earnestness” I hadn’t gotten into Stiff Little Fingers, or really any of the more political UK punk bands like C.R.A.S.S., because their class-based nature seemed to me at its worst like a load of hooey, or at best an uninteresting and overexploited aesthetic. It’s hard to take all that would-be populist stuff with a straight face in a post-Mellencamp world. Maybe I’m just an incurable American and they sound so across-the-pondy. Our class lines over here seem more fluid, even if they’re not. We’re just as fucked, we just have more room to move so it doesn’t seem as desperate. America doesn’t have a centuries-old tradition of nonstop communal hopelessness among the lower classes. Aside from persistent little pockets in Appalachia and Mississippi and northern urban ghettos, (all places where the best music has come from), America has decades of hopelessness instead of centuries, and we tend to import our poorest and most fucked so the rest of us can go, “At least we’re not…” Also we get sunshine every once in a while. 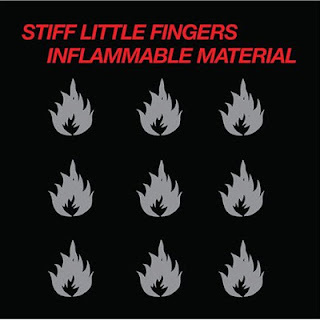 So it’s a little hard to relate to Stiff Little Fingers at first listen. Dodgers shortstop Dee Gordon might be my favorite baseball player to watch. He’s not particularly good, and the only reason he’s up in the majors right now is because the Dodgers have injury trouble. Gordon is rangy at shortstop, and he’s fast as a blur, but his swing generates no power and he can’t get on base. When he does get on base, he steals an extra one, though. What I like most about him is how he looks. 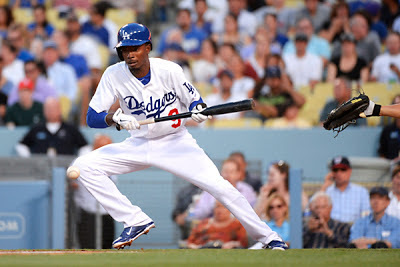 Dee Gordon is thin as a rail, like eleven year old boy thin, and he has the face of a child. This appearance combined with his blazing speed and lack of power makes him look like the Dodgers were a Union-league softball team that was short-handed that day and somebody, perhaps Juan Uribe or Carl Crawford, convinced the rest of their team to let their teenaged son play. “He made varsity track as a sophomore,” they say, “you should see the boy run.” Then they put him in the game and he darts around the basepaths like a deer while everybody else lumbers, laboriously pushing their Pipefitters Local 241 beer guts with powerful legs and bad knees. It turns out, and I didn’t know this until last night, that watching Dee Gordon try to leg out a leadoff bunt single (he was robbed on a call in the first, and I'm a Nats fan) matches perfectly with “Wasted Life.” I’m as surprised by this as you are. Here’s to Dee Gordon and Stiff Little Fingers. Summer 2013. One other note, since I’ve been talking about literature versus genre: if you’ve never sat and watched a ballgame called by Dodgers announcer Vin Scully, you need to do so. It’s like baseball mixed with a Robert Frost reading. Every single time. It’s pure, undiluted Americana, literature in a non-written format. It just is. Even if you’re not into baseball or “literature in a non-written format,” you should force yourself to do this once in your life. Dodgers games are late. Use Scully as a nightcap. Fall asleep if you have to.